CLICK HERE for links to sites that help children research their family ancestry. 1. Look over the cover, page through the illustrations, then read the introduction on page iii at the beginning of the book. What do you think this book will be about? 2. Make three predictions about what will happen to Britta in this story and share them with a partner. 2. Where is Britta when the story begins? 3. What does she remember about Johan before they left t heir home? 4. Why is she keeping her kitten a secret? 5. What excites her the most about going to America? 6. Britta has some fears. What are they? How does she deal with them? 7. Do you have any fears? How do you deal with your fears? 1. How did Britta’s fear of jumping from car to car change as she kept doing it? 2. What two languages are spoken on the train? 3. Describe the inside of the train car. PHOTO OF TRAIN CAR, 1900 IN U.S.
4. What kind of a relationship do Britta and Johan have? How can you tell? 5. Why doesn’t Britta insist that Elsa use the toilet? 6. What does Britta say to make Elsa feel better at the end of the chapter? 7. Do you think she is wise to share her secret? Why or why not? 1. The family arrives at the hotel late at night. Why does Britta wish her father was with them? 2. Why do they have to sleep in the lobby? 3. How does Britta keep her kitten hidden? 4. Britta makes a new friend. How? 5. How do you make new friends? 6. How long has it been since Britta saw her father? 7. Where do Hilda and Britta find the kitten? 8. Where are they traveling to in America? 2. Why is one family sent off to the side and not allowed to board the boat? 3. How much money does the family have to bring to be allowed in the U.S.? 4. What does Johan want to do as soon as they get on the boat? 5. How does Britta feel about leaving Finland? 6. What is Hilda’s idea for being able to play with the kitten out in the open? 7. Hilda falls off the ladder. What two things cause that to happen? 8. How is Hilda’s personality different from Britta’s? 1. What is the biggest problem on the voyage from Hanko to Hull? 2. How does Britta feel about telling Mama that the kitten is Hilda’s? 3. Do you think the girls’ plan about Lisel is a good one or a bad one? Why? 4. Why does Mama cry as they see England in the distance? 5. What does it mean to have “mixed feelings”? 6. What is a moon road? 1. Why doesn’t Mama let Johan go on shore with the men? 2. How is the bread in England different from Finnish bread? 3. Britta asks to have Hilda’s family join the Jacobsons. Why does she wish she hadn’t done it? 4. What does Britta do to keep her mother from talking about the kitten? 5. Why is Britta glad they have a man traveling with them? 6. How long does it take the train to go from Hull to Liverpool? 7. What does Mr. Toikenen do that Mama never does? 1. How many days do they have to wait in Liverpool? 2. How does Britta feel about waiting? How do you know? 3. What is Mama’s advice to Britta about waiting? 4. How can you tell that Mama looks on the bright side? 5. Who has to sleep on the floor? 6. How many loaves of bread do they have with them? 7. What rule does Hilda’s papa set about walking in Liverpool? Why? 1. What draws Hilda to cross the street? 2. Why doesn’t Britta know about watching for traffic? 3. Why doesn’t Britta understand what the man says to her? 4. What is Hilda’s reaction to the accident? What does that show about the difference between Britta and Hilda? 5. Why does Johan obey Mr. Toikenen but not his mother? 6. What happens to Elsa while they are standing in line? 7. Why doesn’t the man listen to Britta when she tries to explain? 8. Why doesn’t Mr. Toikenen see them? 9. What does Britta want Mama to do when they’re sent to stand aside? 10. What did Britta swear to do after they were left behind? 1. Mama didn’t have money for the hotel. Why wasn’t that a problem? 2. What happened to the child who had measles? 3. Who first helped Britta learn English? 4. How did Britta go about learning English? 5. When Elsa got a fever, what was Britta’s first worry? 6. Why were Mama and Johan so late getting back from the hospital? 7. What did Mama realize about Arvid at the end of the chapter? 1. What did Britta do to make sure the cab driver would drive them back to the hotel after bringing Elsa to the hospital? 2. Why couldn’t Arvid and Elsa be together in the same room at the hospital? 3. What took most of Mama’s time every day? 4. Describe Britta’s English dictionary. Do you think it will help her learn the language even if it’s not totally correct? 5. When Johan didn’t come home for lunch, what did Britta do? 6. How can you tell that Britta is a worrier? 8. What did Johan tell Britta about the orange? 9. If a person does something wrong, does it make everything all right to say “I’m sorry”? 10. What was Mama’s bad news about the twins? 1. Why wouldn’t Mama use their money for a trolley (streetcar) to the hospital? 2. What was the bad news Seigfried shared with Britta while Mama was at the hospital? 3. How did Johan step in to help with the problem? 4. How was Britta going to help with the railroad car? 5. When Mama heard the news, she gave all the credit to Johan. Why did she do that? 6. How can you tell that Britta is hurt by Mama’s attention to Johan? 1. Mama made sure that Johan helped with the move. How did they move their things to the railroad car? 2. The day after they moved in, Mama went to visit the twins. What did Mama want Britta and Johan to do? 3. What did Johan do after he brought water to the railroad car? 4. Why didn’t Britta open the letter from Papa? 5. What did Britta notice about Mama when she returned to the railroad car? 6. How much money was in the letter? 1 pound = 20 shillings WHAT WAS A SHILLING WORTH IN 1900? 7. How much money did Britta budget for food each day? 8. How could they survive on so little food? 9. How did Sarah Goode help Britta? 10. Now how long would the money for food last? 1. How long have the Jacobsons been away from Finland? 2. How did Johan convince Britta to go look at the beautiful building? 3. What was the name of the building? 4. Why do you think Britta gave the beggar woman two pennies? 5. How much money did the children spend on candy? 6. Explain how Britta’s candy choices were different from Johan’s. What does that show about their personalities? 7. What was the surprise that Mama had with her? 8. What happened to Elsa? 9. What is Britta feeling badly about? 10. What is Britta’s reaction when Mama says they may have to go back to Finland? 1. How did Britta involve Arvid and Johan in her efforts to learn English? 2. Why did Johan resist learning the language? 3. What does Britta think the word “Luv” means? 4. What kind of stories does Britta entertain Arvid with? 5. What things did Britta do to show her support for Mama? 6. When Mama came home after Elsa’s death, how did she try to console herself and her children? 7. Britta offered to go talk to Seigfried. Why? 8. Describe the day when they buried Elsa. How did it reflect their feelings? 1. Who arranged to pick up the Jacobsons’ luggage for the ship? 2. Why was Britta allowed to go first in line? 3. When Johan was upset about that, how did Mama compromise? 5. Britta panicked when the doctor spent extra time examining Arvid. What did she say to get him through? 6. Even though Britta hadn’t understood everything, they got through the inspection. What did Mama say to her afterward? 7. Britta thought that once they were on the ship, there would be no more worries. Worries about what? 8. Describe the steerage room the family stayed in. 9. While Britta helped Mama make up the beds, what did Johan get to do? 10. As they pulled away from Liverpool, they all went up on the deck. Why did Mama have tears rolling down her cheeks? 1. Why do you think Mama is needing to rest so much? 2. What did Arvid show Elsa to do up on the deck? 3. Why didn’t the second-class passengers know the children were from steerage? 4. 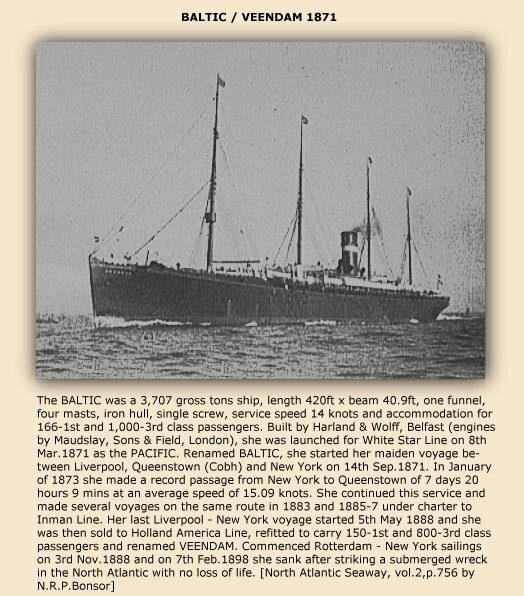 How was the second class deck different from steerage? 5. What did Britta miss about Finland as she watched the waves? 6. What game was Johan playing with other boys? 7. Why did Britta decide not to tattle on Johan for going up to the second class deck? 8. What made Britta think of Elsa? 9. Britta said she didn’t need a friend, but she seems to yearn for one. What is getting in her way of making anew friend? 10. What was Britta’s reaction to seeing the Swedish-English dictionary? 11. Why did Britta get in trouble when Arvid didn’t return from the deck? Was that fair? 1. What did Britta suggest Arvid do to keep from getting seasick during the storm? 2. Why was Elsa a happy thought for Arvid and a sad thought for Britta? 3. When Mama asked Johan to stay below deck, he insisted on going. What was Britta’s reaction to that? 4. What was wrong with Mama? 5. How did Britta think Papa would have made things better? 6. When the doctor wouldn’t come to steerage, what did Britta do to help Mama? 7. How did Mama think she had caught a fever? 8. Although Britta didn’t understand everything the doctor said, she was able to communicate fairly well. What important thing DID she understand? 1. How did Britta manage to get out of taking care of Arvid and Mama the next morning? 2. Why did she want to get up on the deck? 3. Was the boy with the dictionary eager to help Britta at first? How can you tell? 4. What was the boy’s reaction to Britta’s dictionary pages? 5. Why didn’t Britta take her dictionary pages and run away? 6. Why did the boy offer to teach Britta some more words? 7. Do you think Britta has a crush on Hans Erik? 1. How could Britta tell that Mama was feeling better when she got back to steerage? 2. Do you think Johan is jealous that Britta is learning English? Why or why not? 3. Why was Britta wondering about Hans Erik’s meals? 4. What did the steerage passengers have for lunch? 5. Why did Britta take the woman’s two children to the table? 6. Why did Mama go to the woman even though she couldn’t talk to her? 7. What did they do with the baby’s body? 8. What was happening on deck that cheered everyone up? 9. Johan and Britta have very different approaches to dancing. How do their dancing styles show their personalities? 10. Who did Britta meet during the dancing? 11. What did she learn when she got back down to steerage? 1. Why did Mama send Britta for the doctor? 2. The officer may have broken rules to take Britta up to the second-class deck. Why did he do that? 3. Describe the second-class dining room. 4. The doctor obviously recognizes Britta, and even though he can’t come down to steerage, what does he do for her? 5. Britta and Hans Erik are actually becoming friends. Do you think it’s more than just a friendship? Why or why not? 6. Why do Johan and his friends taunt Britta? 7. Did the boy mean to throw the pages overboard? How do you know? 8. Does it seem like Britta’s reaction to losing the papers is a little too strong? Why did she get so angry? 9. How did Johan try to support her? 1. Why did Britta run rather than listening to the announcements to go inside? 2. What was her first hiding place? 3. Why didn’t she stay there? 4. What happened as she was running to get inside? 5. What was she holding onto? 6. Why did she want to reach the rope? 7. How did Britta use her ingenuity to save herself? 8. Where did she ride out the storm? 9. What was Mama’s reaction to her experience and to losing her shawl? 10. What did Britta realize about Mama? 1. Arvid was quite ill. What did the doctor suggest that they do for him? 2. When Johan apologized to Britta, what was her reaction? 3. How had Britta and Johan changed on this trip? 4. What did Britta teach Arvid to say for Papa? 5. Britta and Johan danced every night, but Hans Erik didn’t. Why? 6. Who came aboard the day before they landed in America? 7. When Britta told Mama about landing, what was her reaction? 8. When Johan discovered that they already knew, how did he feel? 9. What did Hans Erik give to Britta? 1. Britta heard that the best-dressed passengers would leave first. How did she misunderstand the meaning of that comment? 2. What were the “mountains” that Arvid saw? 3. What thing were they all particularly excited to see? 4. Do you think Johan and Britta worked well together in this chapter? 5. Why was Britta upset when she realized that Johan didn’t have to go through the slow line she did? 6. How did Britta know that Hans Erik had planned to give her the dictionary? 1. Who met the passengers at the dock? 2. How did they get their luggage to the top of the stairs? 4. How did Britta help Arvid get through the inspection? 5. What happened to Johan at Ellis Island? 6. Where did Britta find him? 7. Why had Johan left them? 8. What made Britta’s heart soar? 9. What was Papa’s comment about Arvid? 10. How did Britta see her family differently now that they were in America? 1. What do you learn about each family member from the epilogue? 2. What can you do to learn more about your own family’s stories?